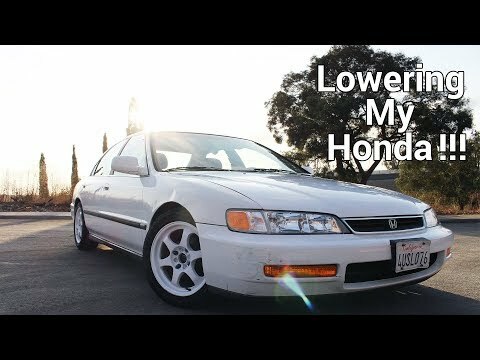 Today I finally got to install a set of coilovers on my 1996 Honda Accord!! This has been something i've been wanting to do for the last two years that I have owned this car. 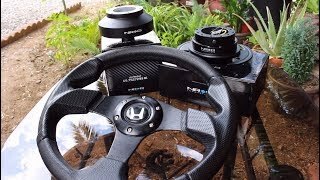 It was a very simple process and can easily be done by a newcomer to car modification. 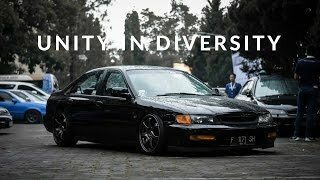 This is also one of these mods that changes a car in so many aspects. I am extremely satisfied with the results. I really hope you enjoyed and make sure to Stay Tuned!!! 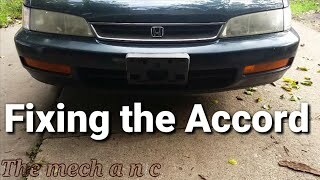 Hey, I have a 95 accord and I have a problem that my car starts vibrating whenever I reach a high speed and it feels more when I start braking. What can the problem be? Do you know if and what the torque specs are for all the bolts? Or are there not any? I have a 1996 Honda Accord with 296,000 kms on it. How bout you guys? Great homemade tutorial Alex! Car sits really nice for a daily. Keep up the good work, good luck! Good work all you need now is some camber kits front and rear..
ACCORD GANG !!! EX COUPE ?? I'm glad I found your channel. I have the same car. ayyyyyye im subscriber # 500!!!!!! Thanks for the vids. 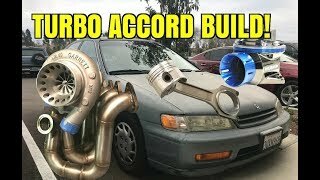 Got me re-building my 95 accord. Bro!! I love the car! Keep up the Good Work...As usual upload more videos .I now subscribed to your channel... 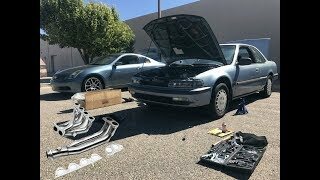 I also have 1996 Honda Accord 4door..I got all my after market parts will be installing them soon and painting it so please subscribe to my channel as well... Good luck brother..
need to be lower not even utilizing the coilovers purpose you can get another inch half easy and you won't rub..
Just wondering if the rear upper control arms get in the way of the tires or no? 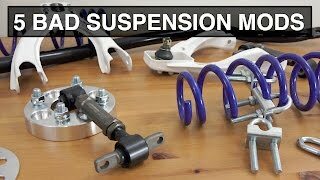 I want to put coil overs on my 94 Accord but the rear upper control arms get me thinking but I have seen lots of lowered accords. 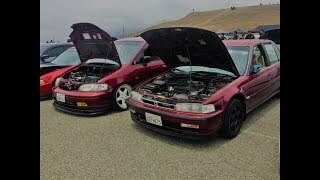 Just wondering if there are any videos on YouTube showing what the control arms do. 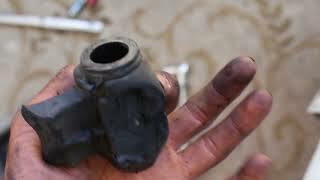 How long did it take to install your coils? I wanna prep myself for the process when I install my coils. Thanks for the video helped me out a lot keep them coming! 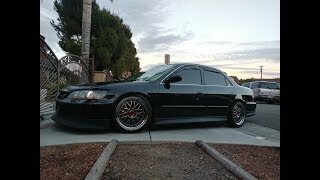 Subscribed to your channel , i have the same accord also, Are you in Los Angeles too? Did You Have To Adjust Your Camber And Toe Bro? Yes I did. 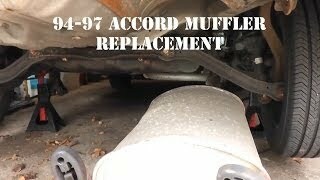 Whenever you lower your car you should get it re aligned. On these Honda’s there’s not factory camber adjustment, so all I did is straighten out my toe. After lowering the car, in the front it has pretty noticeable negative camber but it can’t be fixed unless I get aftermarket parts to fix the camber. 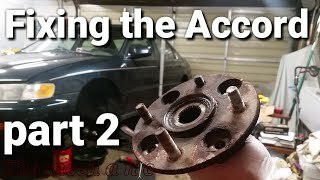 So if you want to lower your car but have it aligned properly, you’re going to have to get aftermarket parts to fix your alignment :) thanks for watching! 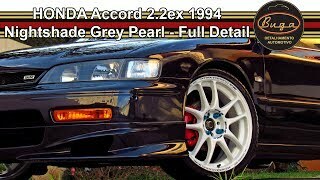 Nice Accord I have a 94 Accord wagon. 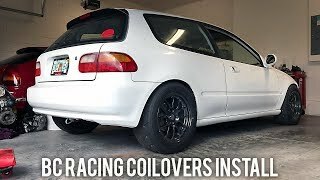 Subbed cause I have an 95 Accord and u helped me wit this vid keep more videos coming bro!! 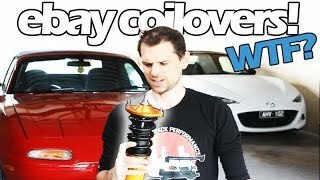 So if I turn the bottom of the coilover righty tidy that lowers it ? How low will I know it is? Do I have to measure it? 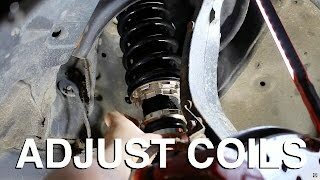 Pretty much, the closer you get the bottom body of the coilover to the spring, tho lower the car will be. 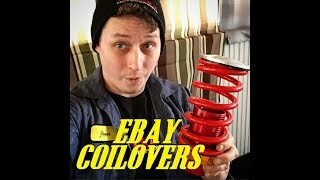 You can get a good idea of how low it will be if you compare the coilover to the old strut. it wont be exact because the spring rates will most likely be different. Also the new coilover will take a couple days/drives to settle down and be in the final position. When youre adjusting the height you can measure it to get specific changes. like if you want to lower it an inch, you screw in the bottom body an inch worth of threads and it will transfer to an exact inch of drop. 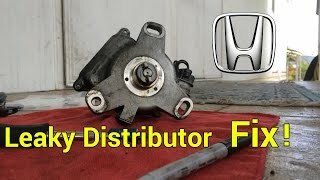 How To Fix a Leaky Distributor on a Honda!